Situated in the heart of downtown Chicago, nestled adjacent to the University Club, and overlooking Grant and Millennium Parks, The Legacy at Millennium Park has become a staple of the Chicago Skyline. This soaring glass tower offers residents unparalleled urban luxury living. This home offers extraordinary far reaching views of the parks, and Lake Michigan beyond from every principal room. The views, from the floor to ceiling windows, serve to complement the exquisite accommodations on offer, to include gleaming hardwood floors, a fully appointed chefs kitchen with Bosch and Sub-Zero appliances, a spacious living and dining room, three bedrooms, two of which offer luxurious en-suite bathrooms, and a third full bathroom. 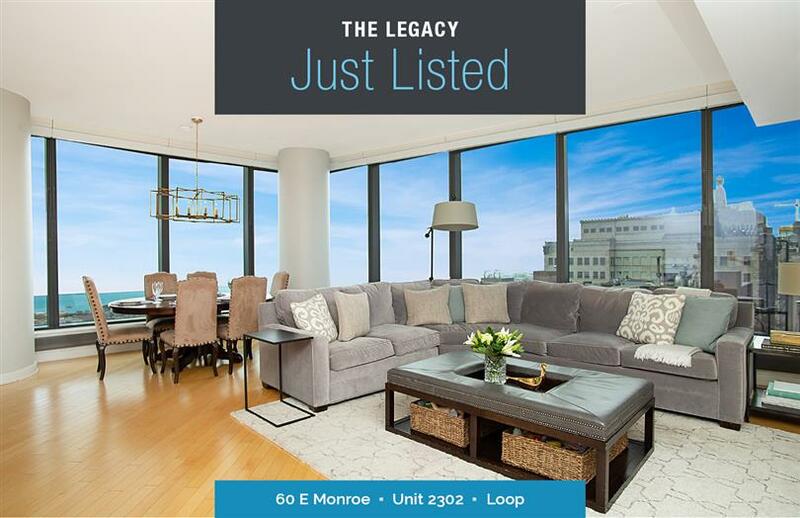 Residents of The Legacy enjoy all the amenities of this full-service building, including 24-hour door staff, a beautiful pool, with hot tub, and a fully equipped fitness center. View more photos, property details, and video tour here!